Do you have your dream Corvette car right now or will you get it soon? That is great, right? Then, let me tell you a little story about a Corvette key that made its way to providing security and safety for car owners just like you. Your Corvette car is your investment, and you use it on a daily basis. Then, here comes the threat of thieves and car breakers, which is bad for your investment. Aside from the costly negotiations of insurance during loss or damage, it would be heartbreaking to see your Corvette gone or damaged. This is why San Diego Locksmith is here to provide you with the Corvette key that you should have in the first place. Corvette keys from our company are a highly customized set that would ensure the best security and safety that no other key locksmith company can provide. We are currently offering a wide array of key replacement services, which include key cutting, remote key replacement, laser key cutting, and the installation of a transponder key chip. Here in our company, we believe that the services we offer are affordable and priced fairly. We are not built on the image of taking advantage and jacking up prices so that we could profit more. 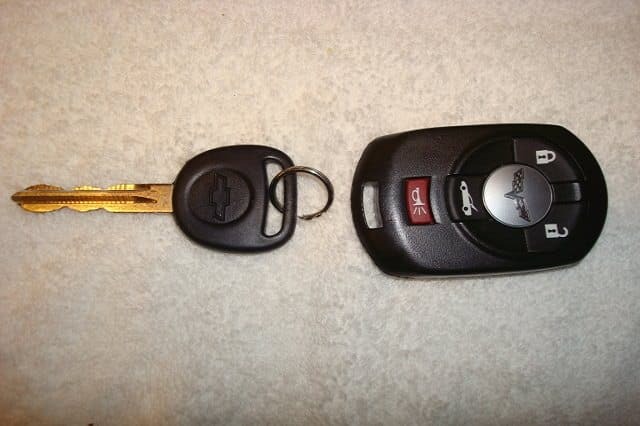 We are built to help you in protecting your Corvette car because we feel and care for your Corvette keys. We are the best key locksmith company that works for you. Our Major Product and Service Offerings could be found in most key locksmith companies out there. However, in our company, we have more personal services available for your Corvette keys. Transponder Key Programming –This is one of the most popular Corvette key service that is availed due to its security feature that would assure you of its functionality. Our company came up with kind of its own technology where your vehicle recognizes only the set of Corvette keys that we provided for you. Thus, it would be harder for thieves to duplicate your set key. We have advanced technology embedded in the chip, which only responds to your own key. Key Replacement – This is where we would introduce you to the best assembly of key designs and cuts to replace your default car key. 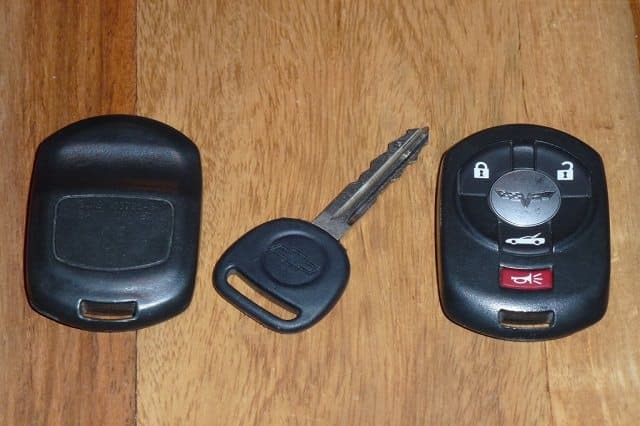 Your Corvette key fob would also be a welcome change to your basic looking key set. We can program it so that added features and security could be installed in your key set. Locked Out Service and Lost Corvette Key – Emergency cases such as this can be resolved with only one call to us. Our friendly customer service would be able to send you our team of technicians immediately to help you out. They will be done with it in no time. Laser Key Cutting – key cutting is definitely a must have service for you because we do not only give you a unique set of keys, but it also assures you of great safety features. We is the best in the industry of key locksmith services here in San Diego, CA. We are built with the integrity of valuing our clients. We provide the best quality of service that you deserve at all times. Your Corvette key fob is well personalized here in our company, with our wide range of set pieces and unique designs. Why should you choose us in the first place? The answer is simple–we both aim for your Corvette to be safe and secure at all times. That is why our Corvette key service offerings are the best. Our technical team and customer-related team of employees are well versed in giving you pieces of advice to enable you to assess what service fits you. However, you can still trust our professional judgment when it comes to knowing what the best set of Corvette keys and Corvette key fob are for you. You would also be assured of the skill and expertise that our technicians have. They have undergone professional certifications and are duly accredited operators of the tools and equipment necessary for the services that we would provide to you. We have also instilled in our company employees the value of always treating you with respect and courtesy. 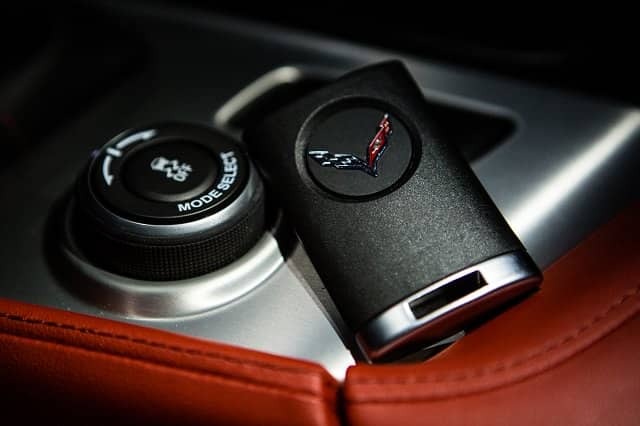 We value your security, which is why our Corvette key service offerings are attuned to what really matter to you. We know from experience that we are the company, which is right and which totally helps you keep your Corvette car safe and secure all times. Certified Technicians and Key Cutters – As said, our company has the best Corvette key cutters in San Diego. You should look for experts that know their way around the equipment and tools necessary for the service. Fair Pricing – Check other companies’ pricing of the services and products for Corvette key fob and Corvette keys. Here, we are pricing our products and services fairly and reasonably. We believe that giving you the best service is also giving you an honest and fair price that you would say is worth your hard-earned cash. Securing your Corvette car is a priority. As such, we are here to be your partner in ensuring its safety and security.